I went in search of things related to veterans and cycling to see what I might find, as a bike-y tribute to all who have served and are serving in the armed forces. As I mentioned on my personal blog last week, my father was a World War II bomber pilot; my husband retired from the Marines as a lieutenant colonel. What did not occur to me until I started looking—and what seems so obvious in hindsight—is that many veterans came home from active service with injuries that affect their ability to ride. The true impact of warfare may not hit home for many of us until we see photos or video of veterans learning to use a handcycle or competing in a handcycling race—because they came home missing legs, or with legs that no longer work. Most of these aren’t truly blog posts—they’re Web sites—but since the spirit of a blogspedition is the voyage of discovery across the Web, it still counts. Ride2Recovery—The nonprofit Ride2Recovery helps injured veterans improve their health and wellness through individual and group cycling; they have helped thousands of veterans who have ridden thousands of miles in places around the country. Air Compassion for Recovery—This program helps veterans reach the Ride2Recovery events through air service donated by American Airlines. U.S. Paralympics Military Cycling Program—The Paralyzed Veterans of America keeps a list of handcycling races around the country as well as marathons that have handcyclist participation. Cycling 50 States in One Year for America’s Veterans and Military—Veterans Doug Adams and Deb Lewis embarked on a journey through all 50 states beginning in October 2010 and wrapping up in early October 2011; Doug biked and Deb served as CEO (Chief Everything Officer). Fallen Heroes’ Ride Across America took place back in 2007—A coast-to-coast ride to draw attention to disabled veterans’ issues in particular. The site is still live with links to a number of organizations to which you can donate. Any number of veterans’ cycling clubs exist worldwide. In looking for links I found the words “veteran cycling” (no quotation marks used in Google search) produced the best results. The word “bike” yielded lots of motorcycling veterans. You’ll also learn that “veteran” can mean “experienced” or, in fact, “old,” instead of “member of the armed forces.” Thus I found some interesting results like the International Veteran Cycle Association—which meets somewhere in the world every year to celebrate vintage (i.e., “veteran”) bikes but has nothing to do with military veterans. 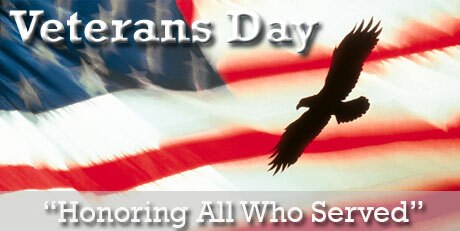 Today, thank a veteran for his or her service. Newly adopted U.S. Air Force motto: Fly–Fight–Win. Coast Guard motto: Semper Paratus, Always Prepared. Next post: Don’t Settle for Incomplete Streets!